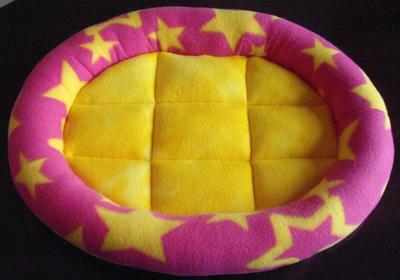 The bed your cat will absolutely love! As part of my volunteer activities I make and give beds and blankets to animal shelters in the area. 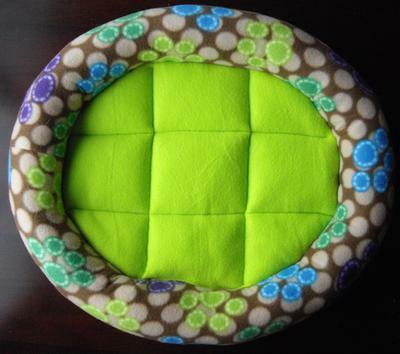 I didn't know it at the time, but I had accidentally stumbled upon the perfect shape, size, material and softness for a cat bed. 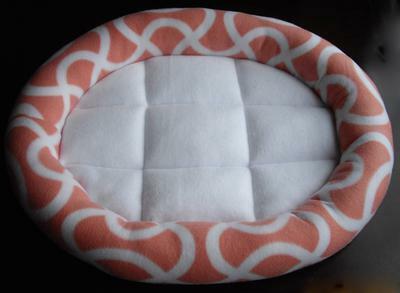 Each bed is lovingly handmade with warm and fuzzy fleece material, the sides are filled and stand up firm giving your kitty a place to lay his or her head and the bottom is padded for extra comfort. They are deep enough to make your cat feel safe and secure. Curved enough to hug them tight and keep them warm. Big enough that even the biggest Tom cat won't feel claustrophobic. And durable enough to survive the brutal washing machine. As an animal lover you know that few things bring you more joy than seeing your kitty fast asleep as content as can be. What a life, right? 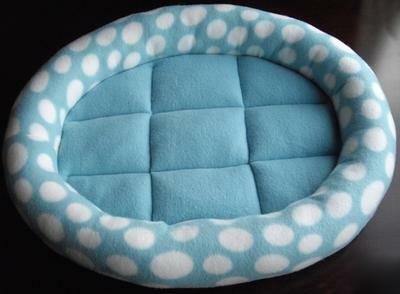 Well, now you can spoil your pet even more by giving him or her the ultimate cat bed - the perfect gift that is sure to please for years to come.